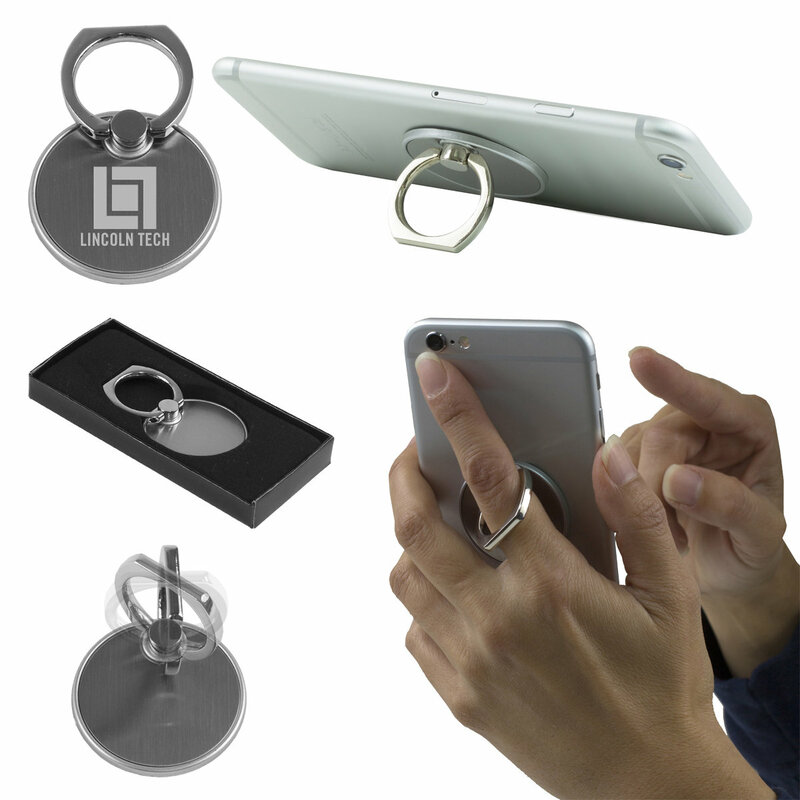 Convenient and safe metal ring grip prevents dropping and damaging mobile phones. Also enhances control of mobility while operating phone or taking pictures. Strong metal rotating ring also functions as a convenient phone stand for viewing videos, movies, playing music, reading the newspapers or books and more. Laser engraved imprint on matte metal center. Adhesive backing is easily removed leaving minimal residue. Laser Engraving Setup Charge: 55.00 per location. Freight shows as $0.01. Actual freight to be determined and charged for later.